Zenith Nutrition Silymarin Milk Thistle Standardized is a powerful antioxidant that promotes healthy liver function. Milk thistle seeds contain an antioxidant flavonoid complex known as silymarin which strengthens liver function and protects healthy cells from free radical damage. 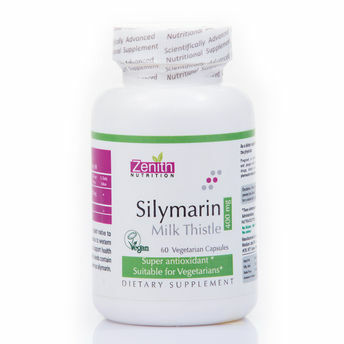 Alternatively, you can also find many more products from the Zenith Nutrition Silymarin Milk Thistle 400 Mg Capsules range.